Custom moulded chocolate presented in clear heat sealed wrapper packed in Single pack pillowcase box. When eating chocolates, the world suddenly becomes better. Agree? Now, put your brand on these world changers and see what happens. 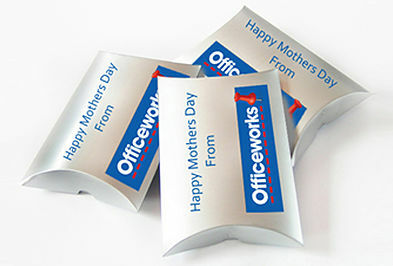 This promotional Single Pack Pillowcase Box with moulded chocolate will definitely put your brand in a positive light. Giving these away for free may just be the key to turning onlookers to purchasing customers and better yet, repeat customers! When it comes to promotional confectionery, packaging is just as important as the taste and quality of the product. They are a representation of your brand. 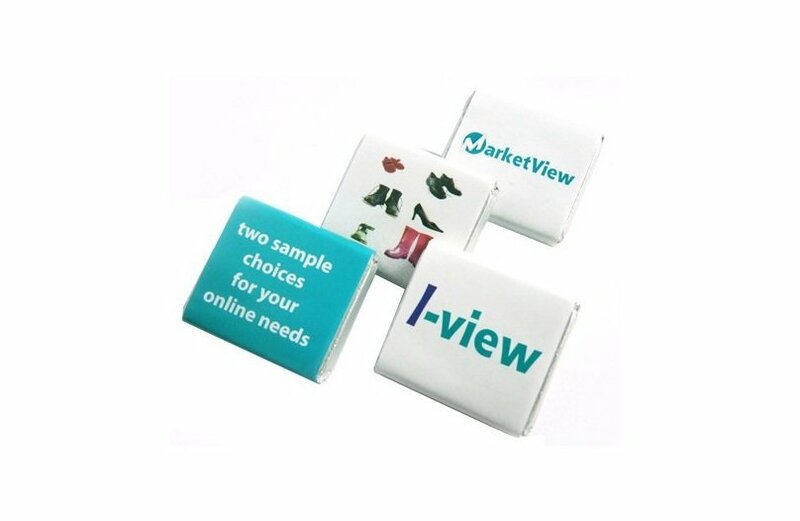 With these promotional Single Pack Pillowcase Box chocolates, you get both great packaging and an absolutely delicious product! 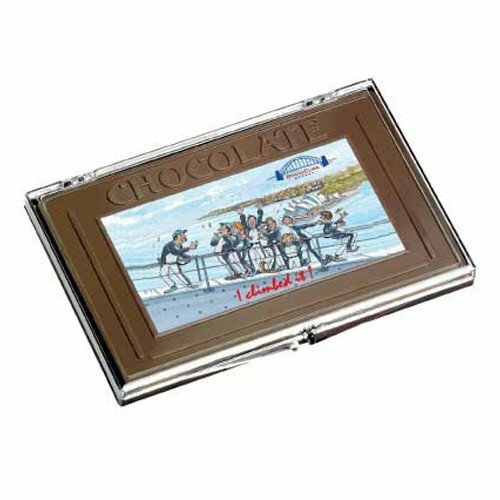 Your brand is moulded onto the chocolate itself and is heat sealed in a clear wrapper to maintain its freshness. The goodies are then placed inside a custom printed card pillowcase box. Get creative and use the pillowcase box to showcase your brand. You can even add a short message to make it more personal. For other great packaging ideas, you may want to consider the Twin Pack Custom Lid Box, where 2 pieces of succulent chocolates wrapped in your choice of foil colour are placed inside a full colour print box. If you’re giving away chocolates as a gift for your special clients, the Belgian Chocolate Squares Gift Box is a great choice. No matter what you choose, you are guaranteed of mouthwatering chocolates and packaging that boasts of branding opportunities. To further take your brand visibility up a notch, you may want to consider something that is not consumable – custom printed caps, with your logo embroidered or printed on the cap itself. The Cotton Twill Ivy Cap is a good choice. It’s stylish and it’s something you would want to wear in the streets. With this product, you’re getting a walking advertisement for free! Ready to order? Call us on 1300 008 300 or shoot us a message on our live chat box. Our customer care experts are ready to assist you with your orders and fulfill your promotional products. Custom moulded chocolate presented in clear heat sealed wrapper packed in custom printed card pillowcase box.